In short: A thrilling conclusion. Six years after Nigel Sheldon used the Quantum Buster to get Bienvenido expelled from the void. Laura Brandt needs to save the planet from a deadly invasion from another planet previously expelled. Two hundred and fifty years later we find the "Warrior Angel" fighting the fallers, and the corrupt government. The PSR rule Bienvenido. Any new technology is banned, the "Eliters" are despised, and the Faller Apocalypse feels imminent. Kysandra and the ANAdroids are doing their best, but they are fighting a losing battle. Fighting both the government, which is hell bent on denying that it is losing, and the fallers who have infiltrated every level of society. Something is needed to tip the scales in their favour. That something is a baby deposited into the hands of a loner, a forest warden called Florian. Like slipping on an old comfortable jacket I found myself sliding straight back into the Commonwealth universe. 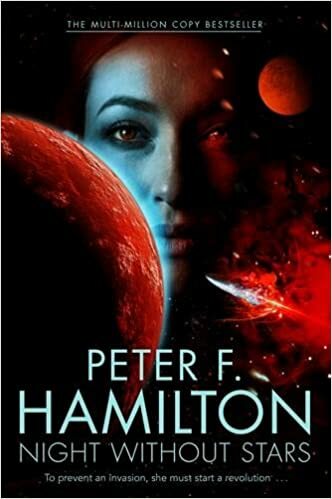 As with all of Peter's books he uses multiple characters to lay out a broad picture of the saga. Seen through the characters own eyes you are immersed in a world which is richly detailed and thoroughly believable. As the picture builds, so does the pace. The twist/reveal quite literally in the middle of the book was not the one that this reader was expecting. From this point, the story has got you firmly by the throat and wont let you go. Classic Hamilton. Towards the climatic finale a whole host of questions from the previous seven tomes get answered. I don't know if Peter has given into the fans demands for answers, or simply felt the need to explain how everything tied together, but there are answers a plenty. This will please a good number of people. It certainly did me. Without any spoilers, the whole story comes full circle. Peter uses the very beginning to provide the dramatic conclusion to all seven books. I'm betting you will want to go right back to Pandora's Star and read the whole lot again thusly armed. Perhaps that was Mr Hamiltons intention, who knows?? P.S. My favourite female author Sarah Pinborough gets a name drop! P.P.S. We've had twelve great years of the Commonwealth Universe, what's next I wonder?